14k White Gold Wedding Set | Shane Co. This modern design is crafted from superior quality 14 karat white gold. 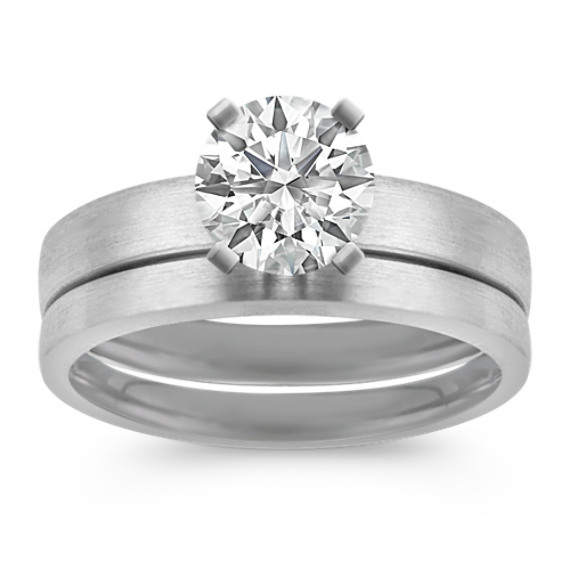 This brilliant, streamlined design serves to highlight the center diamond of your choice. Perfect Ring To Make My Diamond Shine! My fiance and I picked out this ring, because it's simple and really allows my cushion cut diamond to be the star of the show. I also love the matte finish on this ring, as it gives it a modern edge.